You can broadcast your program from anywhere, without spending money on building real interiors. You do not need any special equipment. 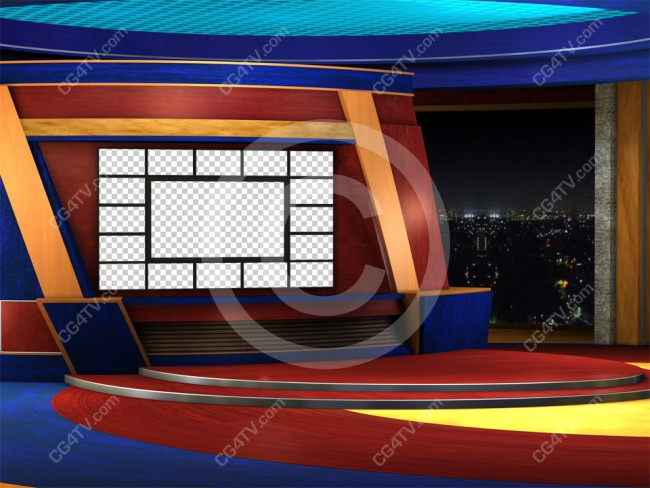 Because the audiences are spoiled with all sorts of effects these days, our virtual backgrounds give that degree of professionalism and attractiveness that will make you a breakthrough in popularity. Most importantly, our footage and virtual sets are affordable and don't take a lot of time to set up. All you need to use the editor and the camera that you already have and just download our trial version of the background to understand what opportunities they will give you and your transfer. Any background, any studio have a different resolution, you just need to clarify some points in the settings and include your video stream. Every studio has layers which can be removed. For example you can use virtual studio with real furniture. All requirements and possibilities are taken into account, any operating system, the ability to edit in any modern professional video editor. Most popular are Adobe After Effects and Final Cut Pro. Both of these have 30 days trial version and you can get familiar with them before subscribing. We even produced free video tutorials to help you with integration of your talent into our virtual studio. Using the opportunities presented in this product, you will be able to create videos that will have high resolution up to 4K, professional broadcast quality appearance and at the same time can be purchased on a modest budget. 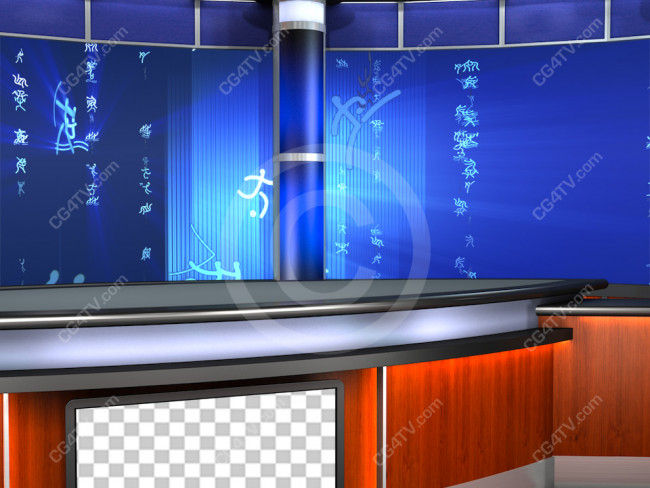 Our 3D animation and visualization studio creates photorealistic and video realistic virtual backgrounds, lower thirds, broadcast quality intros, three-dimensional graphic images. In addition, there are opportunities to create online 3D virtual worlds. Many shows created with the help of our studios are broadcast in the US regularly. These are scientific television projects, news programs, weather forecasts, technological visualizations, theatrical releases, scientific and technological visualizations for theater releases, as well as television documentaries, etc. Our clients are the large TV channels such as Disney, HBO, NBC, Discovery Channel and Fox News; film studios, such as 20 Century Fox; magazines with a large circulation, such as People Magazine, Bild and HÖRZU; as well as many other organizations and companies, including NASA, PBS, Erickson, Mitsubishi, etc., etc. We invite you to join those who are leading the television and media market. Video marketing: how green screen backgrounds would assist you to promote your product?